Callan Truck Parts was established in 2015 by Jimmy O’Brien and John Grogan. With a combined experience of over 60 years working in the commercial vehicle sector, Callan Truck Parts offers the very best service to help with all of your commercial vehicle needs. Callan Truck Parts, based in Callan, Co. Kilkenny provides high quality commercial vehicle parts for IVECO, HINO and ISUZU vehicles all across the South East of Ireland and beyond. 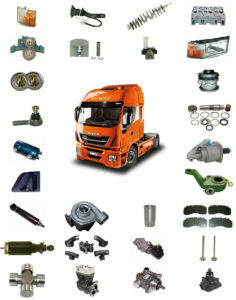 As the largest IVECO parts stockist in the South East, Callan Truck Parts can provide you with everything you need for your IVECO truck, including the very best parts advice and customer service. Callan Truck Parts provides commercial vehicle parts for IVECO, HINO and ISUZU along with expert advice and a wide range of commercial vehicle stock such as a vast selection of lamps and brake pads for all makes of commercial vehicles. Callan Truck Parts provides a first class sales and customer service experience to help the customer obtain the parts they need for their own commercial vehicles. Callan Truck Parts only deals in the best quality truck parts so you can be assured of a top quality service from the South East’s largest IVECO parts stockist and expert parts stockists of HINO and ISUZU parts.